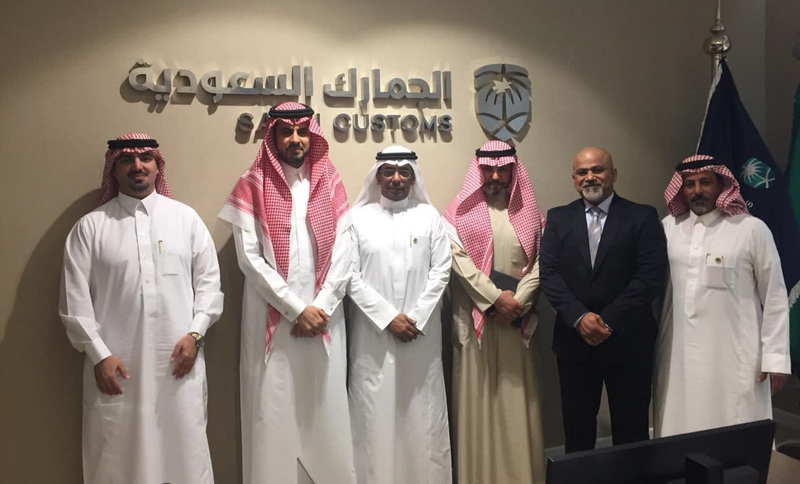 Mr. Ahmed Bin Abdul Aziz, Director-General of Saudi Customs, has received Dr. Mamdouh Al-Refaei, Head of Arab Union of Customs Executives (AUCE) and his associate delegate at the premises of Saudi Customs. 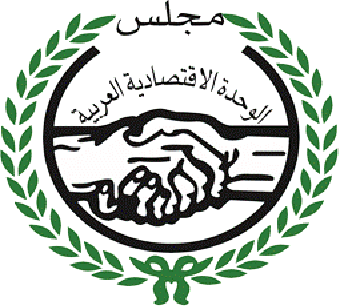 The meeting has tackled several Arab economic issues of concern and interest to the Arab Citizen, in addition to definition of the Union, its objectives, activities and steps taken in the past period through communication with the Arab Customs and institutions and establishments in the Arab countries, and how to promote the development of intra-Arab trade and fighting parallel economy. Dr. Al-Refaei praised the efforts and the great role played by Saudi Customs in defense of the national economy capabilities of the Kingdom and further applauded the findings of the 24-hour customs clearance experience of Saudi Arabia. He also called for cooperation between AUCE and Saudi Customs and the transfer of the 24-hour pilot experience of customs clearance to the rest of the Arab Customs. His request was welcomed by the High Commissioner for Cooperation with AUCE. Director-General of Saudi Customs has also invited AUCE Director to draw up an action paper to take part in the Forum on ‘Logistics Innovation’ to be held March 2019 in the Saudi Capital City of Riyadh. He also praised the establishment of the Arab Academy for Customs Sciences in Saudi Arabia in cooperation between AUCE and the Saudi Customs Institute through signing off a joint-cooperation agreement between AUCE and the Saudi Customs Institute. .
Dr. Al-Refaei pointed out that the AUCE aims, in cooperation with Saudi Customs, to upgrade the efficiency of Customs Executive(s) through holding educational courses for customs agents/executives within the Kingdom. At the end of the fruitful meeting, AUCE Director, Dr. Al-Refaei, presented a draft cooperation agreement between AUCE and the Saudi Customs Authority within the framework of the AUCEaction plan for rapprochement between Arab customs to serve the economy and Arab citizens. The meeting was attended by the Saudi Customs, Mr. Faisal Bin Saad Al-Badah, Deputy for Trade Facilitation, and Mr. Abdullah Bin Ahmed Al-Barrak, General Director of Strategic Partnerships. On part of AUCE, the meeting was attended by Mr. Saadoun Al Husseini, member of the AUCE Board of Directors and representative of State of Kuwait; Mr. Abdul Ghaffar Al Bastaki, member of the AUCE Board of Directors and representative of State of Bahrain; and Mr. Abdullah Al Twaijri, member of the AUCE General Assembly on behalf of Saudi Arabia.